Synergized Ingredients is located in the pristine high desert near Moab, Utah. 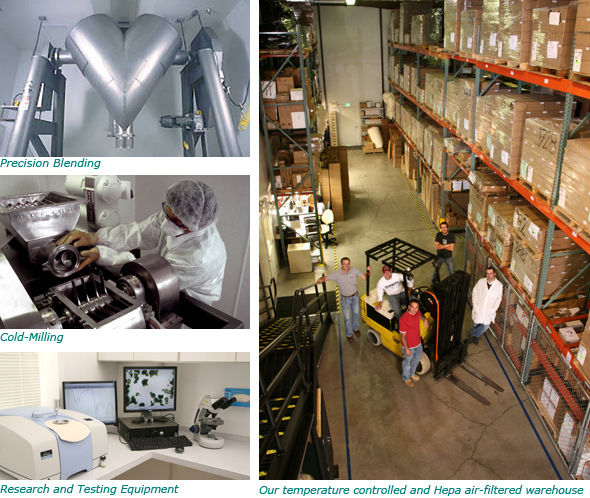 Our dry climate and pure air offer ideal conditions for processing, storing, and transporting raw ingredients and dietary supplements. Conveniently located near Interstate 70, Synergized Ingredients has access to national carriers as well as UPS and Federal Express. 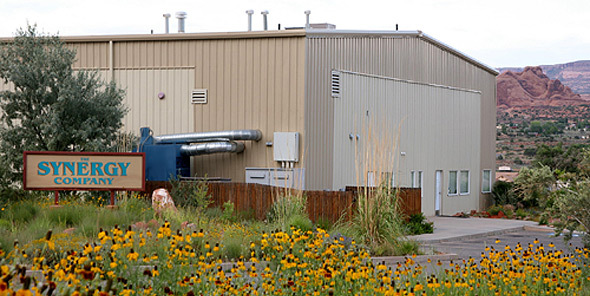 Our custom-designed, FDA-registered, certified organic, kosher, cGMP-compliant and 100% wind-powered facility has received multiple national, state and local awards for its manufacturing excellence and its contributions to environmental improvements. It is equipped with a sophisticated air purification system that removes dust, mold, pathogens and other potential contaminants. Our pharmaceutical-grade water filtration and purification system treats all water used in the facility. 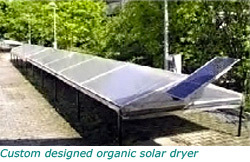 Climate controls are used throughout the facility to keep temperatures at optimal levels. 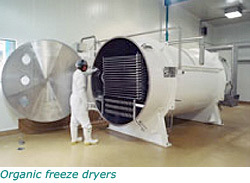 Refrigerated and freezer storage space is available for all temperature-sensitive raw materials. We strive to leave the smallest environmental footprint possible. Only biodegradable detergents and cleansers accepted by our organic certifier are used in all our cleaning and sanitation systems and throughout the facility. We also recycle our waste materials and compost unused raw material in our gardens. We use only recycled paper, paper products and boxes. We never use ingredients that have been genetically modified or subject to irradiation and never use solvents such as hexane or methanol during extraction or concentration of our ingredients. Read more about our sustainability endeavors. Synergized Ingredients is a sponsoring member of the American Herbal Products Alliance (AHPA), and a member of the United Natural Products Alliance (UNPA) and the Organic Trade Association (OTA). Synergized Ingredients has manufactured certified organic products since its inception. We guarantee that the raw materials and finished products that we label "organic" are indeed certified organic. 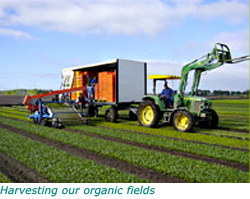 Our third-party certifying agency, Oregon Tilth Certified Organic (OTCO), is at the forefront of the organic certification movement in the United States and internationally. 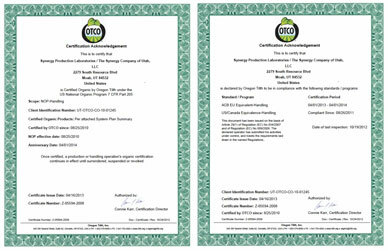 OTCO is authorized to inspect any of Synergized Ingredients' ingredients or products and is registered as a certifier with the National Organic Program. OTCO is ISO 65 accredited and certified by Germany's Verein zur Begutachtung von Prüfstellen (VBP) to meet the requirements of document EN 45011/ISO 65. VBP is a European control body regulating the operation of certifying agencies. This certification allows for easier exports to the European Union. Many of SPL's Synergized® raw materials are certified to USDA NOP as well as European Union and Canadian Equivalency organic standards. Synergized Ingredients' management policies and production processes are in strict accordance with the United States Department of Agriculture's (USDA's) requirements for certified organic manufacturing. All of the farms and processing facilities for our organic raw materials are inspected, audited and certified from a recognized certifying agency to prove the authenticity of the material. All products and processes at Synergized Ingredients comply with the U.S. FDA's cGMPs for manufacturers of dietary supplements, as specified in the U.S. Code of Federal Regulations (21 CFR 111). Synergized Ingredients is certified to produce numerous ingredients that are designated Kosher-Parve by Orthodox Union. Our kosher status is another indication of our dedication to meeting quality standards that exceed the industry norms.